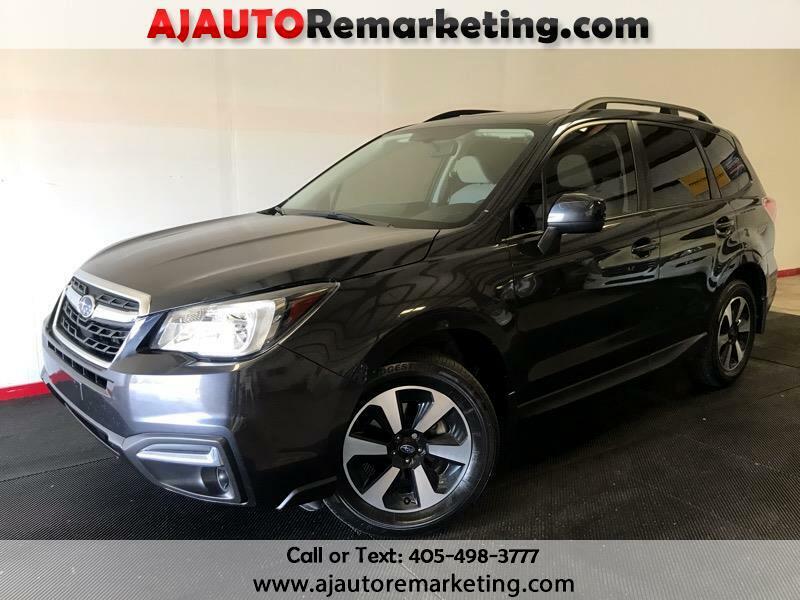 Our fresh-faced 2017 Subaru Forester 2.5i Premium in Dark Gray Metallic has been carefully designed with the features that are most important to you! Powered by a 2.5 Liter 4 Cylinder that offers 170hp while connected to a seamless CVT. This All Wheel Drive combination rewards you with near 32mpg on the open road plus offers 8.7 inches of ground clearance. Our Forester serves up a comfortable and capable ride even when road conditions are less than ideal. Functional and stylish, the brilliant design of this Forester 2.5i Premium helps you love every day's journey. Our Forester features beautiful alloy wheels, rear privacy glass, rear roof spoiler and a panoramic sunroof. The cabin of the 2.5i Premium is spacious and offers excellent visibility along with the versatility of the 60/40-split flat-folding back seat and a large rear gate that makes for easy loading and unloading. Settle into our supportive power-adjustable front seats and enjoy full power accessories and automatic climate control. Staying connected is a breeze thanks to the Starlink touchscreen interface with voice commands, Bluetooth, smartphone app integration, and a terrific sound system with available satellite radio. Intelligently designed for all the right reasons, this cabin is a haven of comfort and convenience. Confidence comes standard with our Subaru Forester thanks to anti-lock disc brakes, traction/stability control, a rearview camera, and advanced airbags. With impressive cargo capacity, roomy seating, fuel efficiency, and a sure-footed stance, Forester are functional and fantastic! Print this page and call us Now... We Know You Will Enjoy Your Test Drive Towards Ownership! Visit Ajautoremarketing.Com online at ajautoremarketing.com to see more pictures of this vehicle or call us at 405-498-3777 today to schedule your test drive. Message: Thought you might be interested in this 2017 Subaru Forester.